strategic focus, efficient execution, and best in-class service. Our Mass Media division has several thousand brands within it, including some of the largest and most recognized names in the world. These products are well known in almost every household in Canada because we got them prime positioning, in-line and at check-outs in every class of trade and every retailer in Canada. If you have ever bought a magazine or book at retail, it was because we placed it there – on time, at the right location and in the right quantity. We have a significant equity investment in Well Ventures Inc., the parent company of Well Juicery Canada Ltd., Canada’s only national cold press juice company. Since launching the product in Canadian retail, we continue to play an integral role in strategy, sales, distribution as well as all administrative functions including billing, HR, finance and customer care. 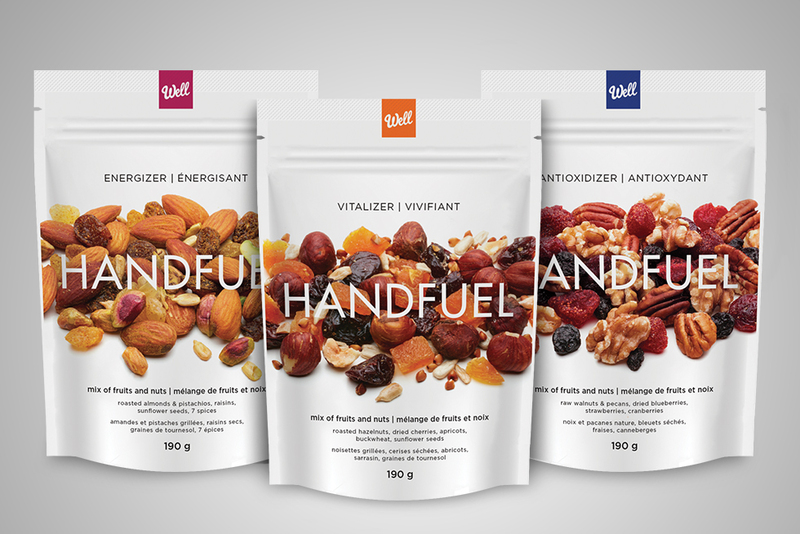 We co-founded and co-own HANDFUEL, a nutrition company for people on the go. To introduce the brand, we spearheaded branding and displays, developed recipes and nutritional specs, built and established manufacturing processes, and launched the product at retail. Today, we warehouse and ship DSD & DC, handle invoicing and AR from retail, and provide payroll and admin support. We strongly believe that liquid supplements are the way to go. Why? Liquid is better because they have a higher absorption rate than pills, the ingredients are more concentrated and easier to digest. 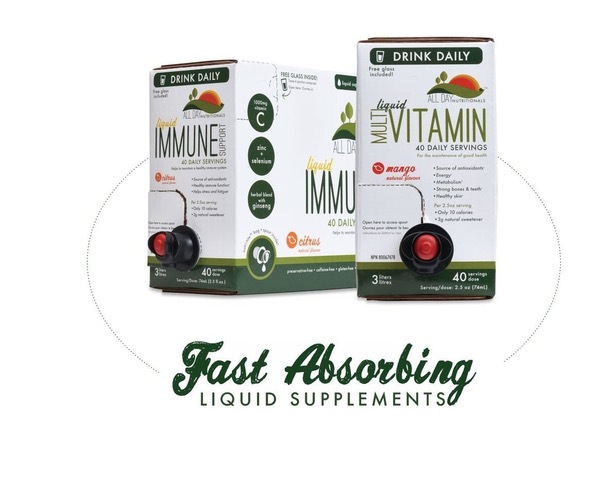 All Day Nutritionals is packed with a high concentration of quality vitamins and minerals. One box a month is all you need to enjoy this daily supplement! This will help replenish your essential nutrients and maintain your health! We have exclusive distribution rights for Dish Fish’s launch into the Canadian market. Dish Fish is your ultimate dish-cleaning tool! What makes Dish Fish the ultimate dish-cleaning tool? They are made with exclusive PowerCell Technology, meaning they have long-lasting power, resists bacteria odors-naturally and are flexible and scratch-free. Dish Fish is 10x stronger and 6x more absorbent than your current kitchen scrubber sponge. They have the power to flex and confirm to tight spaces. You can even stand it on its tail to stay fresh and dry. The food revolution is happening. Everyone wants delicious, enjoyable and affordable food. But they also want food that is not harmful to our bodies and our environment. 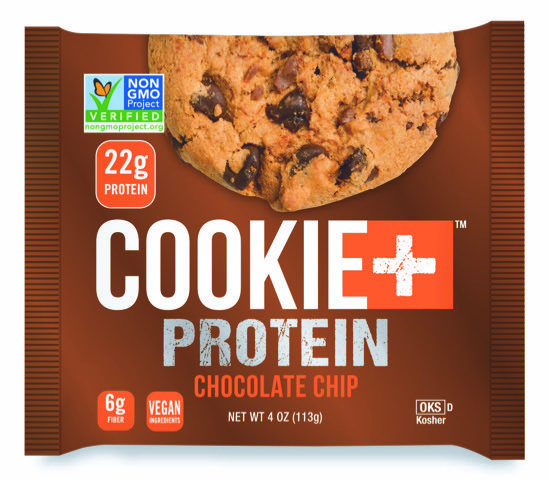 Metro 360 handles the Canadian retail launch of Cookie+ Protein, the wholesome cookie that averages 22 grams of protein! We have an exclusive relationship in Canada with Cookie+ Protein. All 3 flavours of their cookies deliver on all the nutrition and flavor that your body craves and Metro 360 can deliver these to you! Metro 360 understands Canada is need for healthy and on-the-go energy foods on the shelves today. That’s why we handle the distribution of GORP Clean Energy Bars across Canada in order to bring you a bar that contains protein for power, fiber and Omega-3 for health, and antioxidants for recovery! 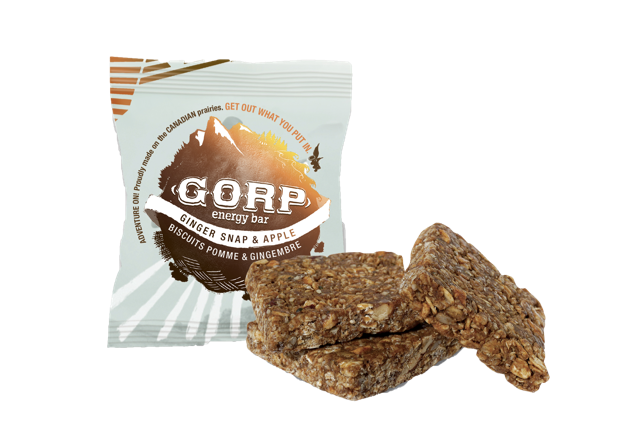 GORP is made on a family farm right on the Canadian Prairies! 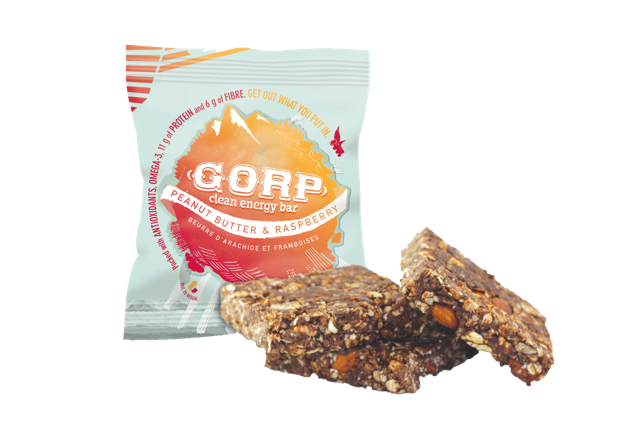 So, what makes GORP energy bars so different? The founders really take an extra mile with ingredient sourcing, there’s no fake anything. Each bar is hand-rolled and made in small batches. They specifically use sprouted brown rice protein which means it’s a non-bloating bar. Best of all, they are healthy and delicious! Spokes have taken the snack market by storm! SPOKES was the winner of the Canadian Grand Prix New Product Awards in the Savory Snack Category in 2018. The potato snacks are hot-air puffed and misted with sunflower oil and seasoned with great flavor for a delicious crunch. They are never oil fried, contain no preservatives, are gluten-free, and made in a peanut-free facility. BIGS contain the biggest and boldest flavored seeds imaginable in every bag! These premium sunflower seeds come in four delicious flavors and are on trend with “Better for You” snacking options. The demand for ready-to-eat snacks like sunflower seeds is increasing, and with BIGS being low in calories and in fat, they are an excellent choice. 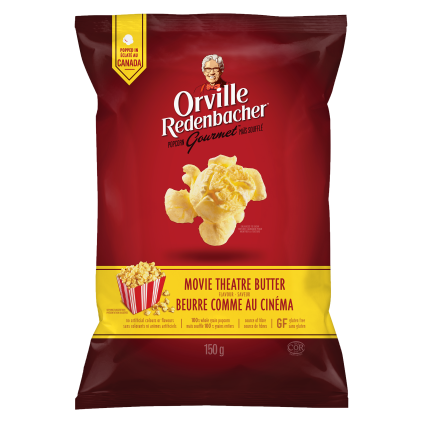 Orville Redenbacher is a name to be trusted! This popcorn is certified gluten-free, has no trans fats, no preservatives, no harmful chemicals, low GI, cholesterol free, high in fiber, and is vegan. Popcorn products are in high demand with the array of alternatives as well as new flavors. Pre-popped popcorn has seen soaring sales for the past four years and sales have increased 17% over the previous year. The U.S’s number one premium smoked sticks now available in Canada! 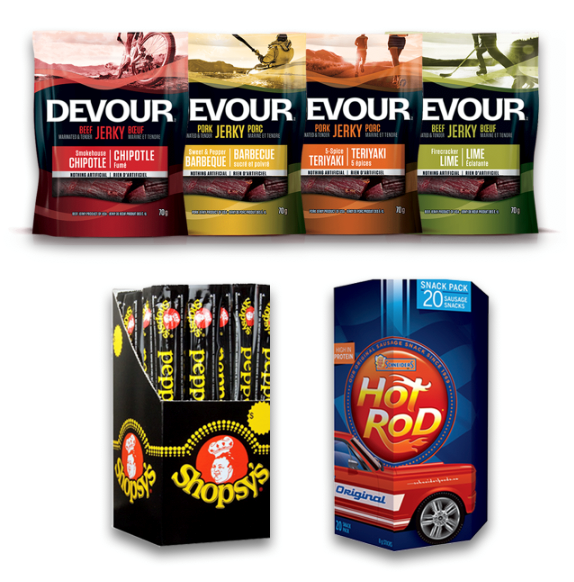 The meat snack category is HOT and growing +6% in sales and +13% in tonnage and is the most profitable snacking category. 67% of Canadian snack consumers know the Slim Jim brand. As new convenient and tasty flavours are being introduced to the market, the demand from the millennial generation is increasing too. A name you can trust as one of Canada’s largest producers of premium quality food products! They are a category leader in low fat, carbohydrates, and calories while providing a high amount of protein per serving. Made with only the best ingredients and raised without antibiotics. Schneider’s products are certified gluten-free! The accessibility and convenience of meat snacks have increased its demand in the snack market. Consumers are always snacking more on-the-go products. The demand for handheld protein has never been higher! Maple Leaf Foods is the leading consumer protein company with new packing models and exotic flavours. Short on size, not on flavor, these slow-dried sausages are made from the best ingredients and are slow-smoked to be pint-sized perfections. Duke’s uses fresh, never frozen pork and whole ingredients (no dried spices) that are smoked in small batches to ensure the freshest product and best flavor. These crafted smoked meats are on-trend with the high demand and profitable on-the-go meat snacks. Silk is a well-known and popular brand. Consumers are looking for healthy choices more than ever before – and plant-based protein sales have increased 6x over the last five years. 43% of Canadians are actively trying to increase plant-based foods consumption, and Silk is an easy on-the-go choice for consumers! The plant-based protein category has recruited many new consumers and will continue to grow. These premium Virginia artisan peanuts are dried, boiled in marinade, and slow cooked to perfection. They’re all natural, no artificial colours, no artificial flavours, no GMO’s, no preservatives, no trans fats, no MSG, and are gluten free! In addition, these peanuts are an excellent source of protein and fiber. Meatbar is a source of natural protein, made from the finest top cuts of 100% grass-fed beef. 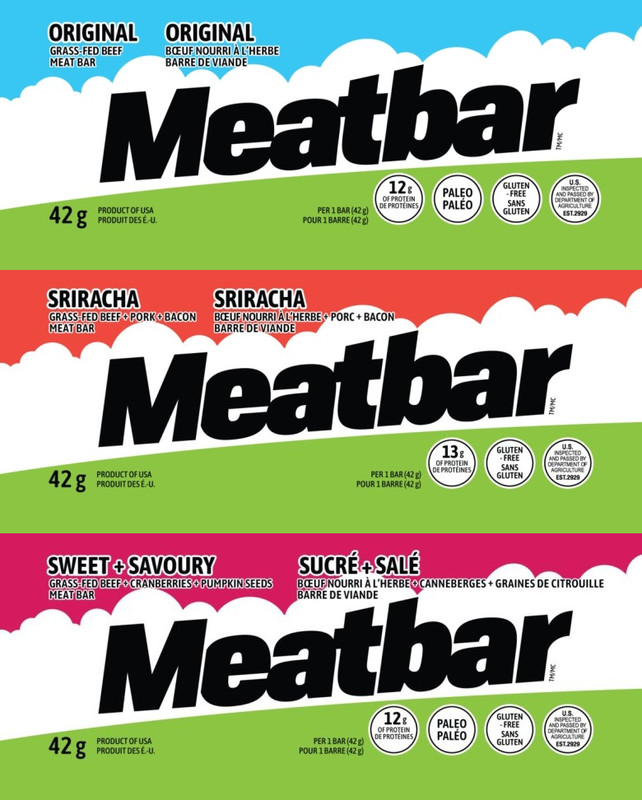 It’s not jerky and it’s not a granola bar – Meatbar is in a category of its own! Meatbar is setting out to disrupt the meat snack category and introduces a new convenient format. 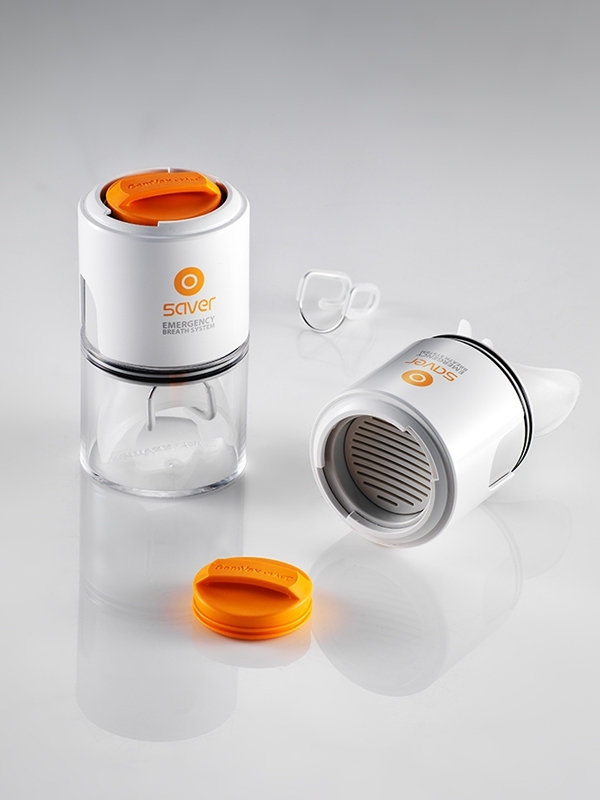 We handle sales, marketing and distribution to retail in North America for Saver, an emergency breathing system. The Saver Emergency Breath System is a personal life saving device that allows you to breathe clean air in the event of a fire. Saver filters chemical substances and removes carbon monoxide and toxic gases, giving you five minutes of breathable air – enough to get you and your family safely out of your home during a fire. We handled the Canadian retail launch of Dream Water, an award-winning non-prescription sleep aid. We continue to provide product support through warehousing, invoicing, AR from retail and shipping DSD & DC. We have an exclusive relationship in Canada with Brill, the world’s best push lawnmower. Along with our marketing partner company Grun, the launch of Brill mowers in Canada took the product from nearly zero recognition to the forefront of the push mower segment. e-commerce and AR from retail.